The Air Support Unit's priority is supporting patrol members. The unit operates with six officers and the plane is staffed with one pilot and one Tactical Flight Officer or spotter per shift. 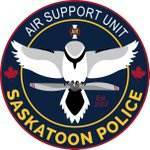 The pilot is a trained Saskatoon Police officer with a commercial pilot’s license. The officers maintain radio contact with both Saskatoon Police and RCMP members as they can observe action well beyond city limits. 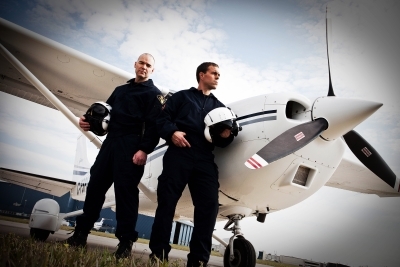 The entire city is not visible from any given location, but officers can fly anywhere in the city within one minute. Weather is always a contributing factor for plane deployment. The plane must fly at 2,400 feet, so a lower cloud cover blocks visibility of action on the ground and prevents officers from flying. The plane is equipped with an infrared camera which was purchased by SGI for about $300,000. The purpose of the camera is to map heat signatures. The spotter’s primary duty is to support ground operations by observing suspects and updating the ground units on their direction and location. Both vehicles and individuals can be followed. Eight out of ten criminals will abandon their vehicles and run to hide, but the heat sensor camera will pick up their location. The Air Support Unit conducts numerous pursuits per year and patrols high risk locations at the peak hours of 10:00 - 12:00 p.m. It has helped reduce the crime rate in Saskatoon by at least 10%. Most high speed pursuits are now halted in favour of the Air Support Unit tracking the suspects. It also assists the Saskatoon Fire Department with out of control fires by watching for signs of the fire spreading to other businesses or dwellings.